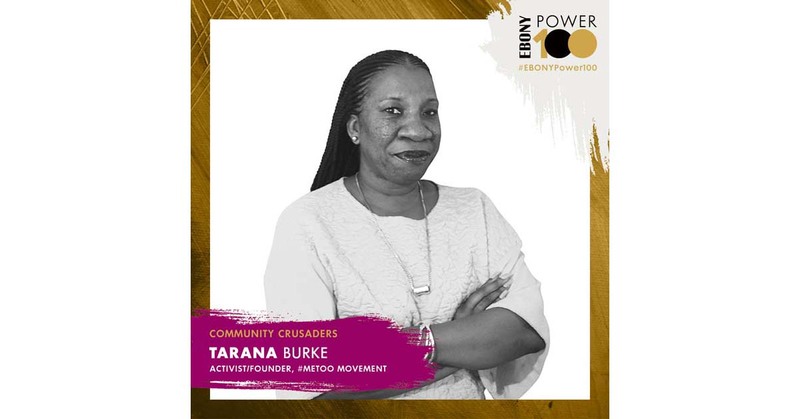 With the creation of #MeToo in 2006, Burke started the movement to support sexual assault survivors, focusing on young Black and brown women and on disrupting the proliferation of silencing and shaming of victims. The goal was to bring vital conversations about sexual violence into the mainstream. That happened in a major way in 2017 when the hashtag was attached to a campaign to bring awareness to sexual assault in the entertainment industry, then moved to harassment, abuse and assault beyond that field. Today, she's called on to weigh in on cases spanning victims of various races and cases that involve those from all levels of affluence-all the way up to the nation's highest court. She was in the room during the Senate Judiciary Committee hearing in September when Christine Blasey Ford gave testimony alleging sexual misconduct by Brett Kavanaugh when the two were teenagers, and Burke participated in a rally against his confirmation to the U.S. Supreme Court.